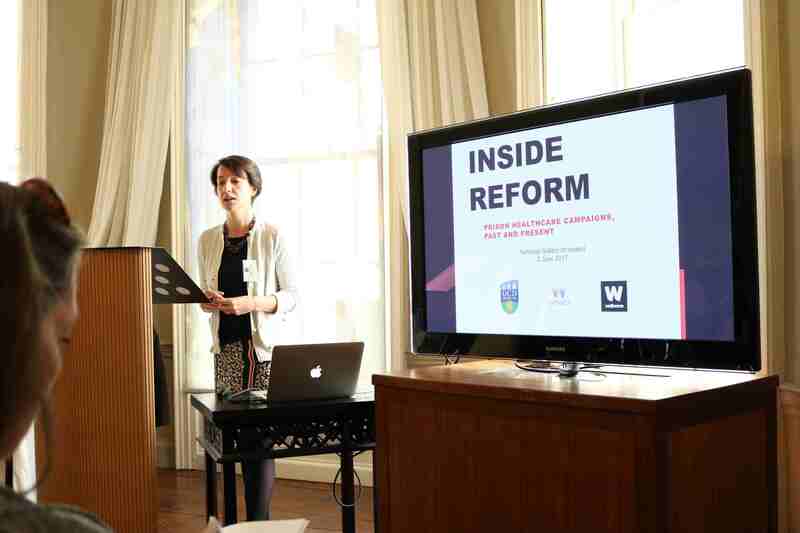 Associate Professor Catherine Cox; opening address at Inside Reform, National Gallery of Ireland, 2 June 2017. Photography by Dr Sinead McCann. Inside Reform: Prison Healthcare Campaigns, Past and Present. Inside Reform was a policy workshop co-convened by Associate Professor Catherine Cox (UCD) and Professor Hilary Marland (Warwick), as part of their Wellcome Trust Senior Investigator Award Project, ‘Prisoners, Medical Care and Entitlement to Health in England and Ireland, 1850-2000’. This event was hosted by the UCD Centre for the History of Medicine in Ireland and held at the National Gallery of Ireland on 2 June 2017. In her opening address, Associate Professor Catherine Cox welcomes the attendees, provides an overview of the project, ‘Prisoners, Medical Care and Entitlement to Health’, and gives a broad outline of the goals of the policy workshop, Inside Reform. 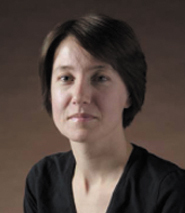 Associate Professor Catherine Cox, School of History, UCD, is the co-founder and Director of the UCD Centre for the History of Medicine in Ireland. Her publications include: Negotiating insanity in the southeast of Ireland, 1820-1900 (Manchester: Manchester University Press, 2012); with Hilary Marland, Migration, Health, and Ethnicity in the Modern World (Houndmills: Palgrave Macmillan, 2013); with Maria Luddy, Cultures of Care in Irish Medical History 1750-1970 (Houndmills: Palgrave Macmillan, 2010) and numerous articles. With Dr Graham Brownlow, Catherine is the editor of Irish Economic and Social History. She currently holds a Wellcome Trust Senior Investigator Award entitled Prisoners, Medical Care and Entitlement to Health in England and Ireland, 1850-2000′ with Professor Hilary Marland at the University of Warwick.